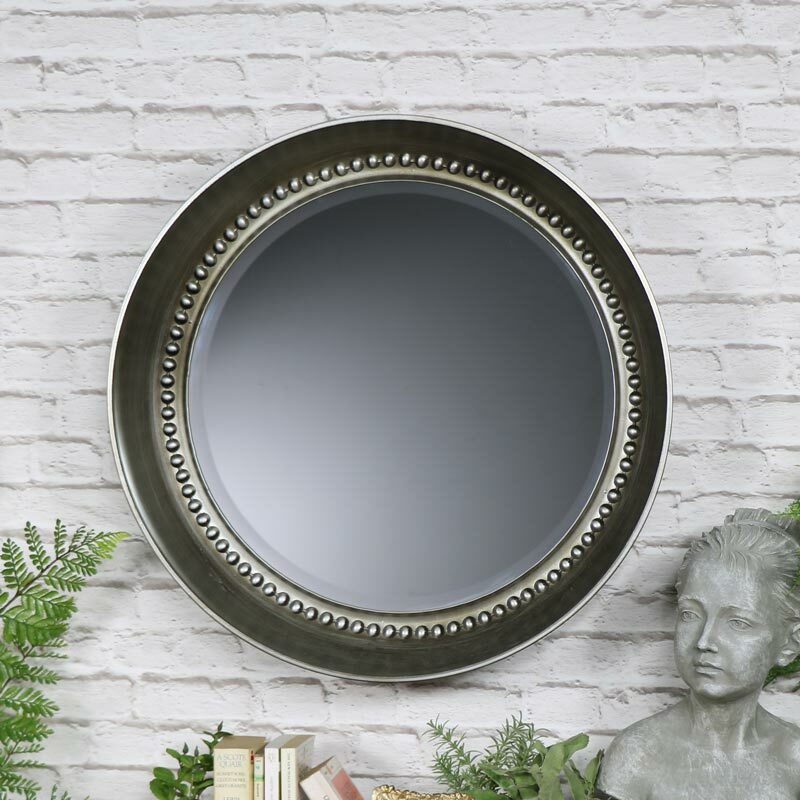 This large antique silver mirror is the perfect way to add a statement to a room, with the mirror set deep inside the frame it really will catch your eye. 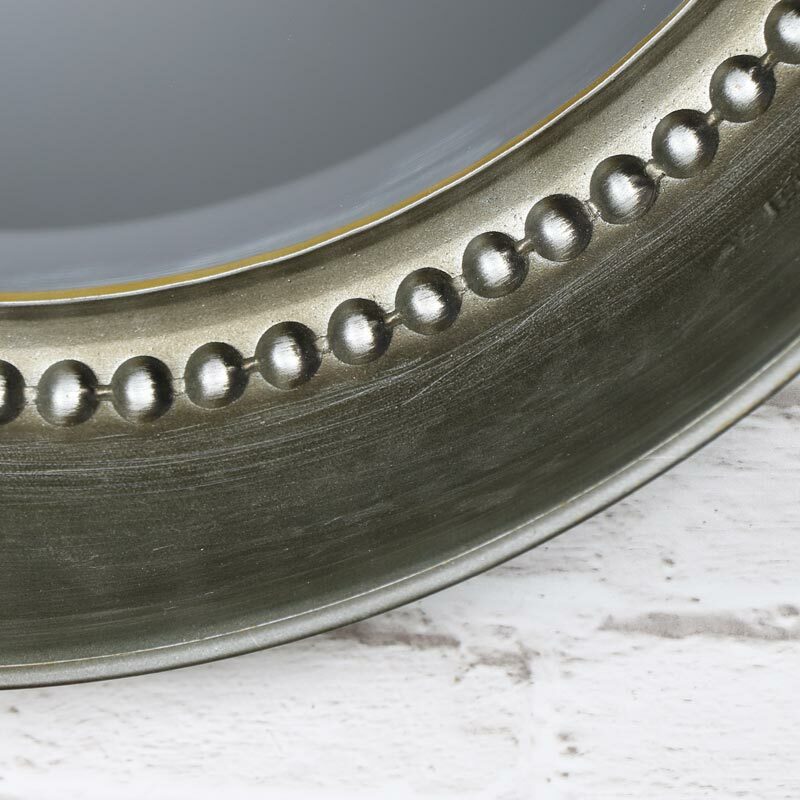 Silver frame with an antique finish with beaded detailing surrounding a bevelled mirror. 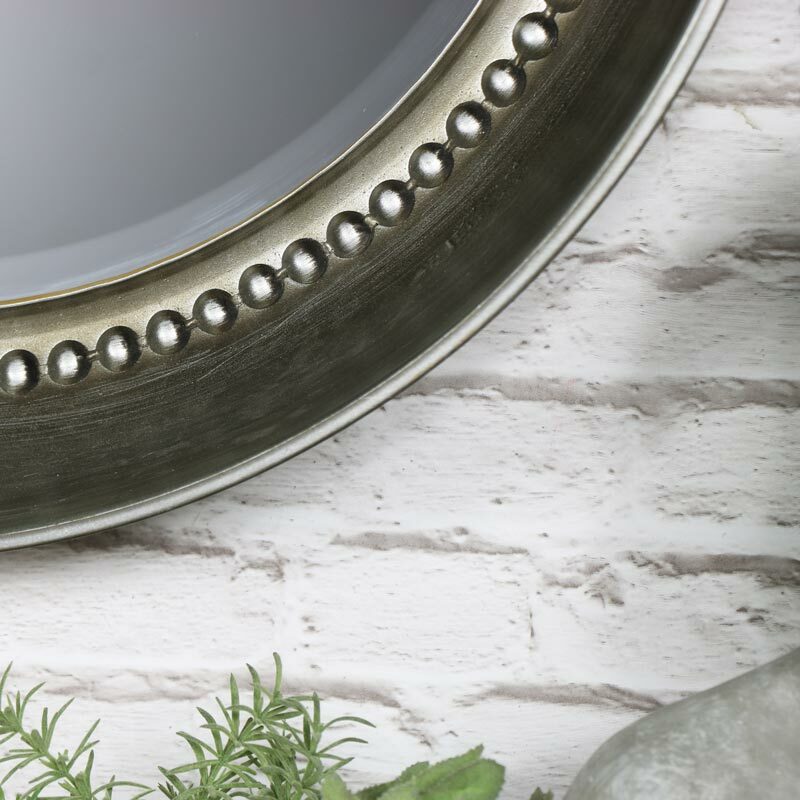 This wall mounted mirror will suit any modern or traditional interiors.